Knauz MINI is looking for a MINI Genius.. 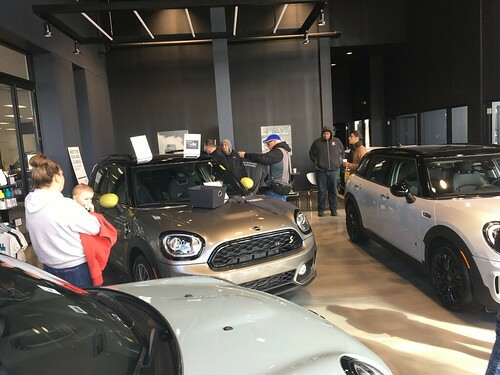 The Windy City BMW club has invited the Chicago MINI Motoring Club to participate in their Ice Autocross event on February 28th. 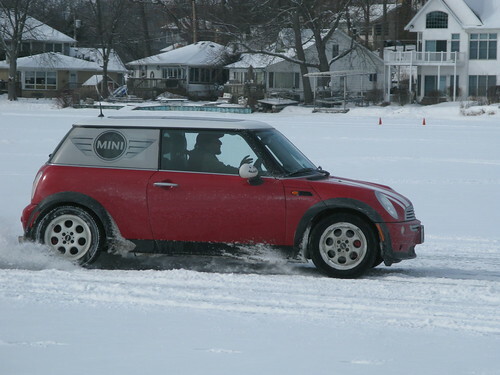 Come on out and explore the limits of traction on frozen Lake Elizabeth in Wisconsin, and have a fun time sliding your car around..
WRAPUP: A very cold day, but we had a half dozen MINIs out on the ice.. the course was very bumpy early and then slippry towards the end, but a fun time was had by all. Thanks to the Windy City BMW club for letting us come out and play! !